Bhutan is a remote and tiny nation of about 700,000 persons located between India and China in the Eastern Himalayas. 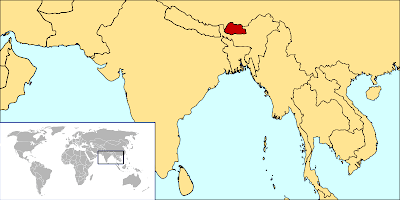 The nation was so remote, that until 1961, the only way to access the country from the rest of the world was to travel from India on foot to the border town of Phuntsholing and from there by mule or horse into the interior of Bhutan. 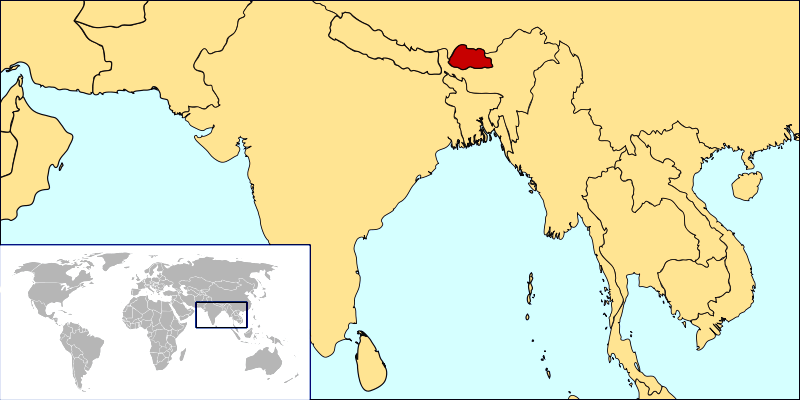 After World War II, the royal family of Bhutan sent the future queen, Ashi Kesang Choden Dorji, to study at Oxford University. It was there she came into the acquaintance of a fellow foreign student, Burt Todd, an American from Pittsburgh. Todd was an adventurous son of a wealthy steel and glass family. Based on his friendship with the future queen at Oxford, Todd was invited to come visit Bhutan for the royal wedding, so with a couple friends he hitchhiked across the Europe and Asia and by foot and mule into Bhutan eventually became the first American to visit the country in 1951. To give you an idea of how primitive it was, the king who married Todd's Oxford friend would be the one to introduce wheeled vehicles to Bhutan during his reign. 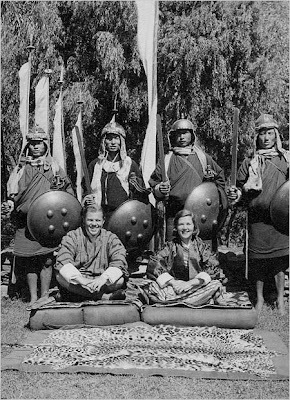 Todd was so taken with the country and its people, that after returning to the States and getting married, he convinced his wife to honeymoon with him in Bhutan in 1954. Todd's wife, Susie, also fell in love with the country and they desired to improve the economic conditions in the kingdom. Todd was retained by the government as an economic adviser and in 1962, under his suggestion, the nation printed its first postage stamps. 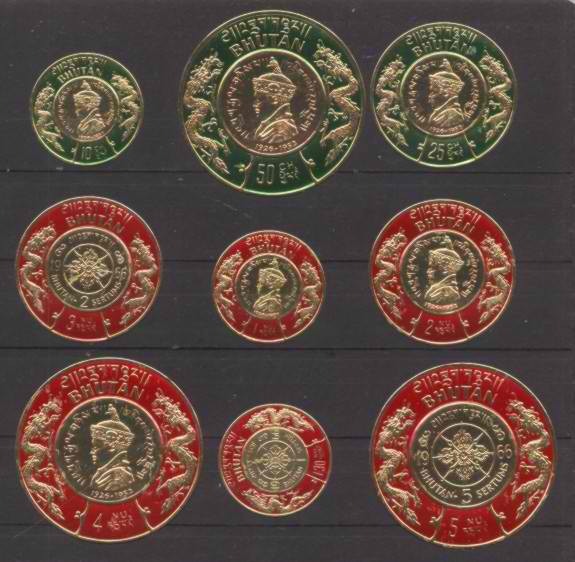 At first, sales were sluggish for stamps from a country few people recognized, but ever the entrepreneur, Todd hit on the idea of increasing sales by making the Bhutanese stamps unlike any others. Todd traveled the world looking for new materials and production processes to create unique stamps for a fascinating country. 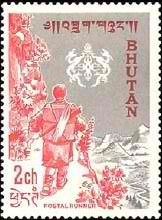 Bhutan's first stamp in 1962 was a normal stamp picturing a postal runner. 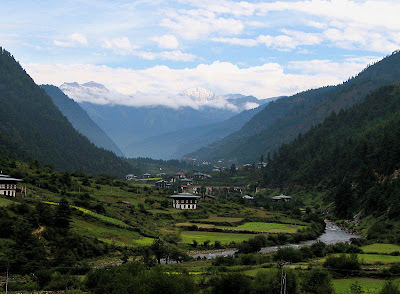 Curiously enough mail in remote parts of Bhutan is still delivered by barefoot couriers today. 1966 was the first year that Bhutanese stamps really made a unique mark on the stamp collecting scene. 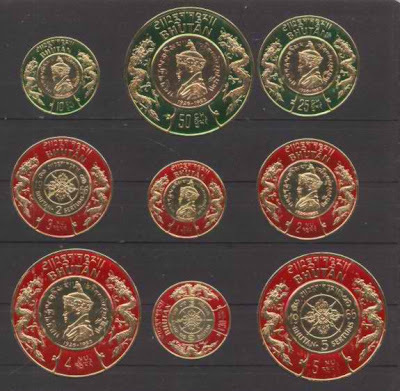 That year, a circular embossed gold foil series was issued and also a triangular stamp series featuring the mythical yeti of the Himalayas. 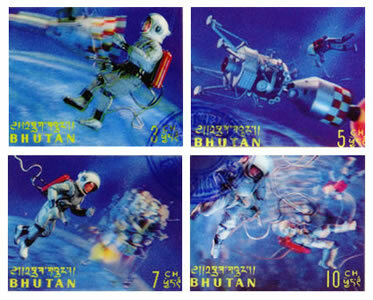 Bhutan issued the world's first lenticular stamps in 1967 depicting space exploration. The stamps appeared to move and have depth as you rotated them, much like the prizes found in Cracker Jack boxes. 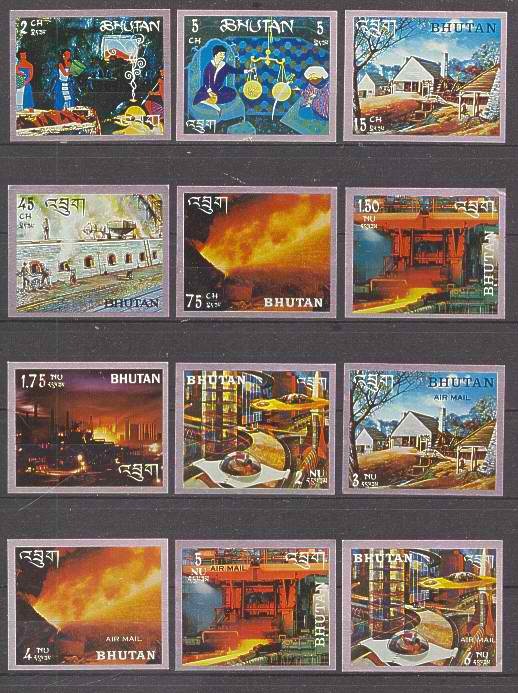 The world's first steel stamps (actually steel foil) were issued by Bhutan in 1969. The designs were created by the Walt Disney Company and produced by the United States Steel Corporation (who Todd worked for). 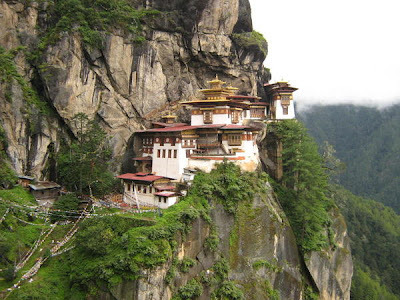 Bhutan also produced the world's first silk stamps the same year. The self-adhesive stamps were printed on silk and showed traditional Buddhist thangkas. The world's first scented stamps were issued by Bhutan in 1973. Rose oil was embedded below the top sheet and they smelled like the roses represented. 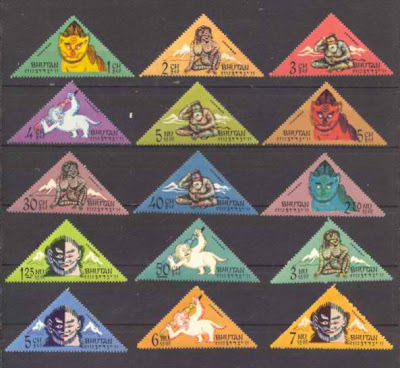 My personal favorites are the talking stamps also released in 1973. They were a tiny vinyl records that could actually be played at 78 rpm. 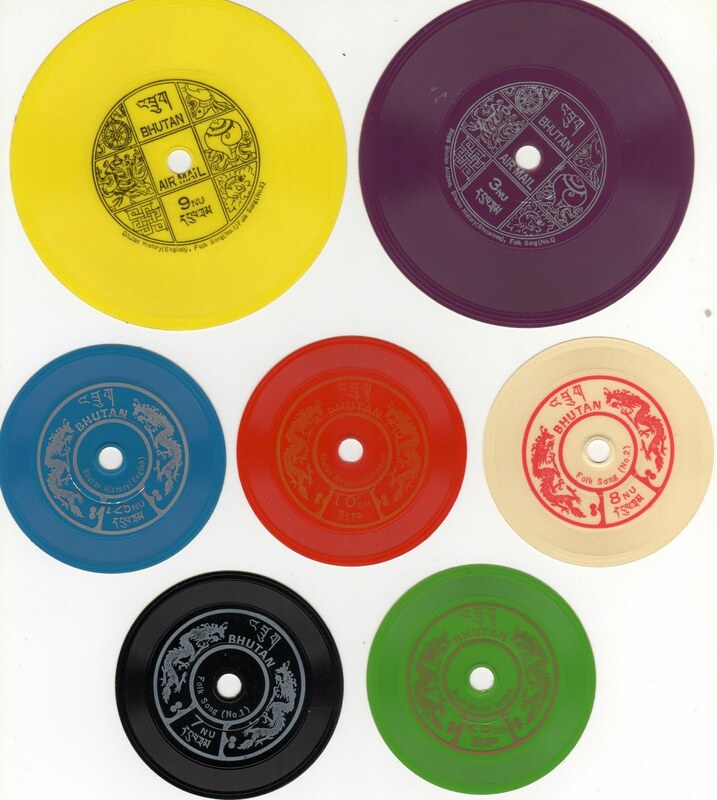 The stamps held recordings of the Bhutanese national anthem, folk songs, or Burt Todd giving an oral history of the country. 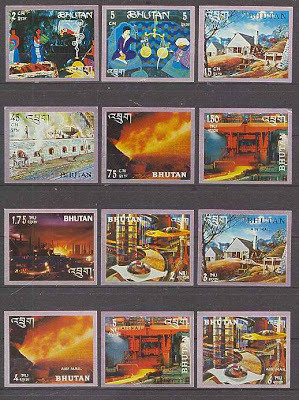 At its height in the 1960s, stamps were the leading source of revenue for Bhutan, netting the kingdom $500,000 annually and have provided the nation the money necessary to build an airport, hospitals, roads, and electricity. 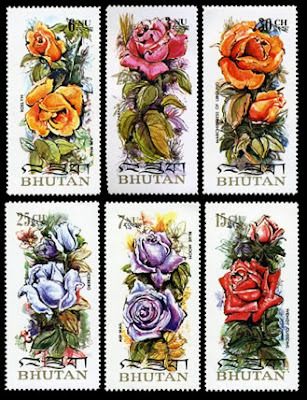 Bhutan continues to produce stamps, but also receives tourism revenues also largely due to the increased visibility brought by the unusual stamps. 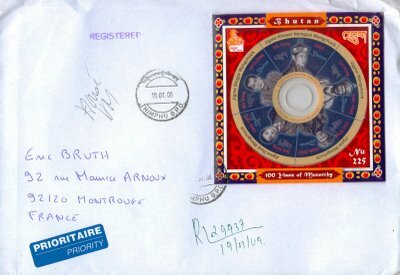 In 2008, Bhutan fused its stamp program with a tourism push by producing the world's first CD-ROM stamp. The stamp was a disc containing a documentary about the country and celebrated the 100th anniversary of the monarchy. I can't believe the things you have taught me! Once again....Thanks, Nate! "Hey, you have to add more stamps, moron"
"Why oh why do you always write the addresses in illegible handwriting"